The Rebel Sweetheart. : Making Moving Less Stressful for Children. Moving house can be a stressful time for many parents, especially for those with young children. Prior to making a move, it’s important to consider a few key factors. Wait until the end of the year. For one, if your child is already enrolled in the local school, prior to packing up and relocating, it may be wise to wait until the end of the year, or at least, until the end of the term. Certain schools will teach subjects in a different way and also at a different speed. If you register your kids at a different institute half way through the year, they may fall behind in their studies. Why moving house can be stressful for a child. Although deciding to relocate poses a big upheaval for the entire family, both adults and children will experience different emotions. Adults will often only focus on the practical aspects of the move, whilst children will pay more attention to the losses caused. They may be moving away from a best friend, a school they enjoy or the bedroom they love. It’s important to help your child through this situation and a good way to do this is to make them a big part of the move. When visiting new properties, allow them to have a say and show them that you value their opinions. You may be moving due to a new career opening, or alternatively because of what the location has to offer. Whatever the reason for your move, it’s important to do your research beforehand. It’s always worth checking out the local information directories on sites like Netmums, which have extensive lists of family-friendly restaurants and day trip locations which are recommended by local mums. For instance, the North Lincs page is packed full of everything you could need, from recommended toddler groups to the best local softplay locations. This is a great first stop to decide if you’re suited to a home in the area such as a Linden Homes property for sale in Lincoln. Familiarize them with the area first. It’s not new news that moving house can be stressful or even traumatic for children if not handled correctly. Instead of feeling daunted or worried about an unknown new place, introduce day trips to familiarise them with the area beforehand. Being told you’re moving to a place you know and love is a lot less scary for a child than somewhere that’s strange and unfamiliar. Emphasis on the positives are incredibly effective, and encouraging your little ones to think of what they’ve got to look forward to rather than the place they’re leaving behind should help keep the smiles on their faces. This is such a nice article. It made me reminisce the things that I experienced as a kid when we used to move out. I used to hate moving out because I hate not being able to play with my friends. But now that I'm all grown up, I wanna be everywhere. I checked Linden Homes website and I love the houses in Lincolnshire. I wish I can move out and live there someday. My daughter was 18 months when we moved and then 2 1/2 when we moved again and it was harder on me than her. She just needed her favorite things around her and easily made new friends. These tips are great! Very helpful! When we moved to our current home, it was summer time, and my eldest was about to enter nursery. I think it helped that they're still young and don't have too many attachments to our old home. I remember moving as a kid. I was super excited, but others were sad. I think each child handles it differently, so these are great tips. Great tips. 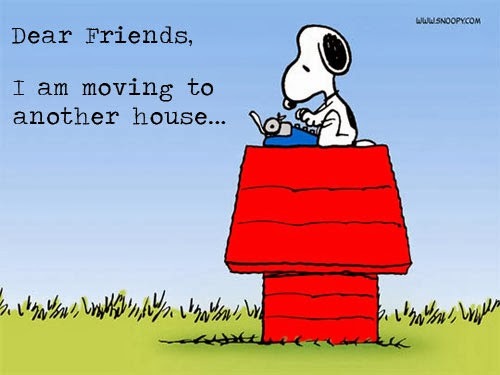 We are thinking of moving so I will be keeping this information on hand. great article and should be passed around especially to expat families like us.